For nearly a century, BMW motorcycles ("Motorrad") have been admired for their style, reliability and mechanical innovations. As BMW Motorrad's sole authorised dealer in Northern Ireland, Charles Hurst is pleased to present a range of over 40 different bikes from one of the world's most prestigious brands. Our Belfast BMW dealership stocks a vast array of new motorcycles, from high-performance models such as the R1200GS and R1200RT to BMW's new range of "maxi-scooters". Our experienced and knowledgeable sales advisors will be able to give all the relevant information on any one of our motorcycles, as well as which of our competitive financing and insurance deals would best suit your purposes. 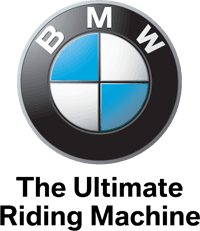 At Charles Hurst, we also maintain a selection of Approved Used motorcycles from BMW Motorrad and other marques, all of which have been subject to the most rigorous of quality control procedures from our manufacturer-trained technicians. View our current showroom stock, or call us with details of your ideal bike. Our "Bike Finder" service means we actively search the market for models meeting your specifications, and we will alert you when we find one. Call us today for more details of this service. Our skilled mechanics are assisted in their repair and maintenance work by access to sophisticated, high-quality diagnostic and repair equipment and a large supply of official manufacturer parts. An extensive variety of official BMW Motorrad clothing and accessories is also available from our dealership. Contact our BMW Motorrad dealer today for further details about our excellent range of bikes and associated products and services.